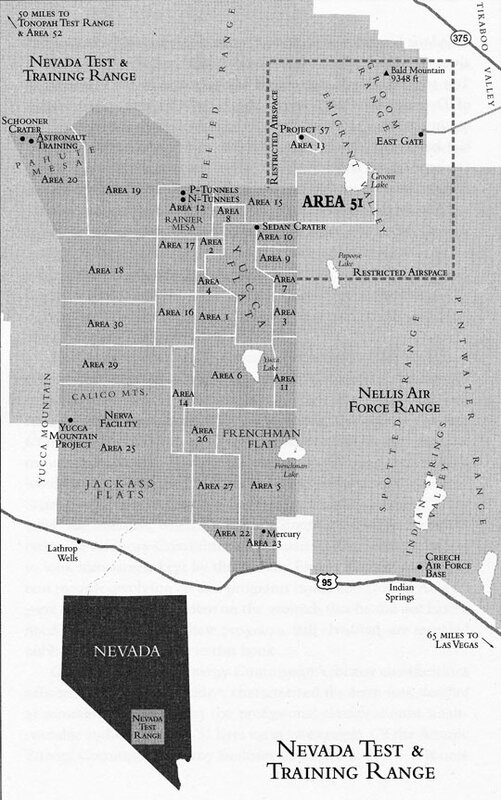 There has been a lot of talk about Area 51 this week with the release of the new book by journalist, Annie Jacobson, which features interviews with ex-employees working at the base. In a funny dichotomy the base is the most famous and the most secret all at once. But something that these latest news stories are missing is how the public came to know about Area 51 in the first place. In the past, stories about black projects, such as the U2 spy plane, the SR-71, stealth aircraft, and the back engineering of Russian MiGs, mentioned this sort of work being done somewhere in the Nevada desert, but were not specific. The first article I could find that actually mentions the name Area 51 is in the tabloid, Weekly World News, from 1980. The article is about the work of two Las Vegas reporters, Ned Day of the Las Vegas Valley Times, and Bob Stodal of KLAS TV. They say that, like Jacobsen but many years earlier, they too had interviewed employees from the base. They were told that laser weapons were being developed there, along with a plane so secret that when it comes out of its hangar a siren goes off and “all personal lie face down to make sure they don’t look at it.” You can read the entire story here. Although stories like this appeared every so often, none of them hit the public as hard as another story from KLAS TV in 1989. This is the story that arguable put Area 51 on the map. In November of 1989, KLAS investigative reporter George Knapp interviewed Bob Lazar, a man who claimed to have worked on alien spacecraft at Area 51. The story made worldwide headlines and forever linked Area 51 with extraterrestrials. Lazar claims that he was a physicist working on reverse engineering advanced propulsion systems retrieved from extraterrestrials. He worked in an underground base called S4, about 8 miles south of Area 51. At one point he was shown the craft that the system he was working on came from, and found that there were several extraterrestrial space craft stored in hangars at the base. He says most of them were disk shaped and had a metallic skin that could become completely transparent. He put together a home video explaining the science behind his work at S4 which can be seen below. Lazar no longer works at the base because he says he was caught leaking information about the testing times of the flying saucers. He had told several friends when the tests were happening and where to go to see them. His friends videotaped strange lights in the area on several occasions until one time they were met by security. Their video was confiscated, and they say they were threatened and told never to come back. Lazar was then fired and threatened himself. Some of their video can be seen below. Lazar’s story was challenged and scrutinized, and is still highly debated. Records of Lazar’s claims regarding his employment and education could never be found, and Lazar says they were erased by the government. Knapp did find a phonebook for Los Alamos National Laboratories (LANL), a top secret facility Lazar claimed to work with, and although LANL claimed they found no records of his employment, he was listed in the phonebook. Knapp also found a news report about jet car races Lazar was involved with that also listed him as employed by LANL. However, Lazar claims to have degrees from the California Institute of Technology and the Massachusetts Institute of Technology, neither of which can be confirmed. In 1990 it was also revealed that Lazar had ran brothels, this further damaged his credibility. One of his brothels was legal, but another was not, and he was charged with pandering for an illegal prostitution operation. Whether his Area 51 claims are real or not, this was the first big public story about Area 51, and although the government denied Area 51’s existence entirely, it was quickly becoming famous. Area 51 is now known throughout the world as a secret base that is possibly storing aliens and their spacecraft. Eventually, the government was forced to admit their operations at Area 51 when the base made news again. This story had nothing to do with aliens, but with a scandal leaving several of its employees dead or dying from poisoning. Due to the burning of unknown chemicals at Area 51, several civilian contractors got sick and two of them died. Five of these employees, who remained unnamed, and the families of two of the deceased sued the US Air Force and the EPA. The Air Force had a difficult time denying the existence of the base to the media, while at the same time acknowledging the law suit existed. 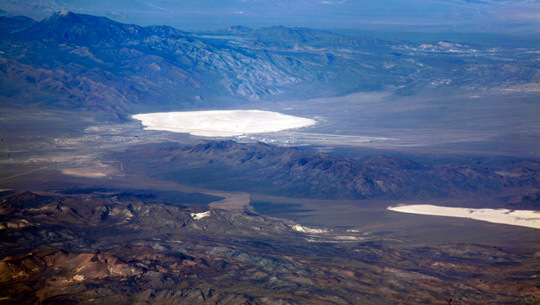 Because of its secret nature, the Air Force said they could not reveal the chemicals that were being burnt at the base, and President Clinton reinforced this decision with a Presidential Determination which exempted “The Air Force’s Operating Location Near Groom Lake, Nevada”, from environmental disclosure laws. Thus, the victims’ case was dismissed due to a lack of evidence. Recent Google maps image of Area 51. Of course the idea that this secret unacknowledged base was working on projects so sensitive that they were above the law even further solidified the belief that there could be extraterrestrial craft being locked up out there. This affair added to the ominous reputation of the base, and further entrenched it into the bedrock of American mythology.